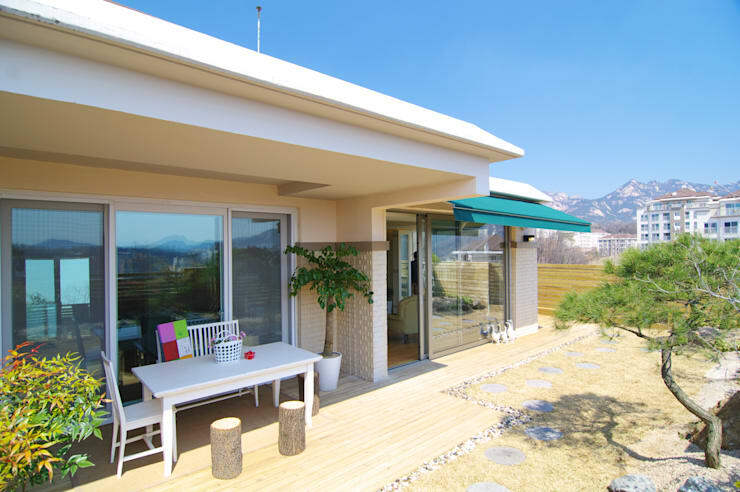 Designed by South Korean architects, Design A3, this is one of the loveliest homes that you will ever see, with beautiful views of the surrounding mountains, gorgeous glass windows and a funky, modern style. And today at homify, we are going to provide you with a little treat… a few snaps of the home before Design A3 waved their magic wand. We can see exactly where the home comes from and how it has evolved into something chic and trendy. So let's go on an adventure today and see what a home is capable of when the experts get involved! The first view we get of this stunning home is a trendy structure that spills out onto a patio, which overlooks snow capped mountains. There are large glass windows and doors, allowing for every room in the house a view of the mountains. Wouldn't you love to see this view while relaxing in a warm, bubble bath? The patio is very neutral, working with the earthy look and feel of the rest of the home. The designers have put white furniture in this space, adding a fresh and clean outdoor style. Next, they've included natural decor in the form of trees and tree stumps. Don't you just love the tree stumps used for chairs around the outdoor patio table? When it comes to outdoor furniture, opt for durable. 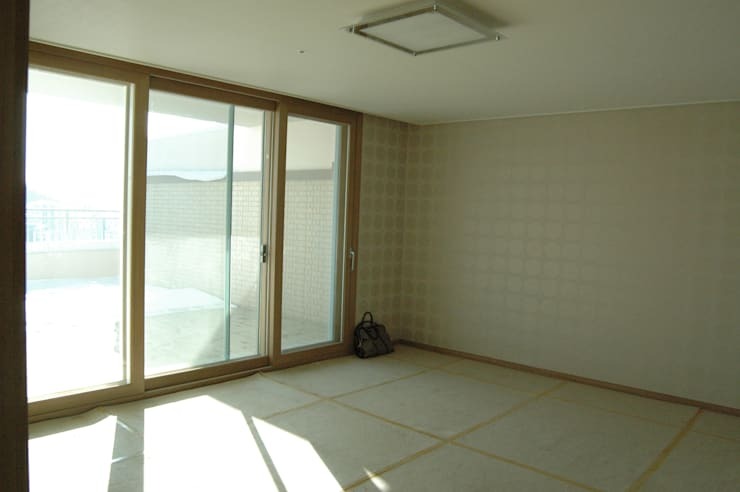 Even if it's slightly covered, like the furniture in this image, it will still be exposed to all of the weather elements. Make sure it lasts! Have a look through the homify patio furniture for inspiration for your own home! 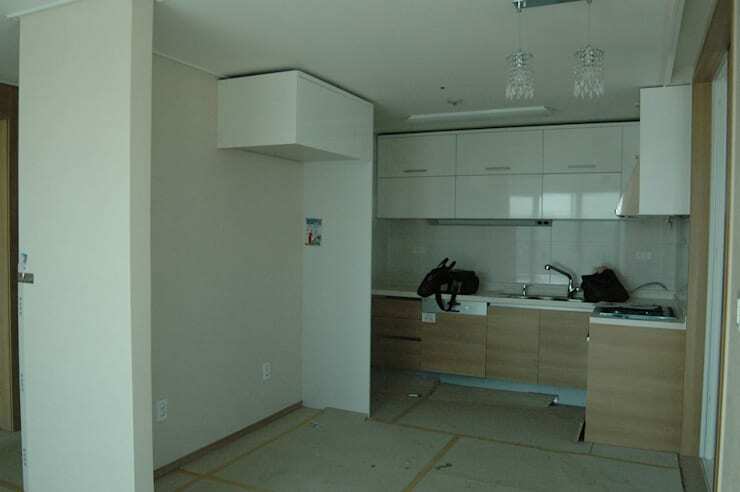 In this image, we can see the open plan living room, kitchen, dining room and balcony area. The designers have decked the floors out in a beautiful, light wood, which works wonderfully with the perspex furniture—the coffee table and shelf . This is very retro! 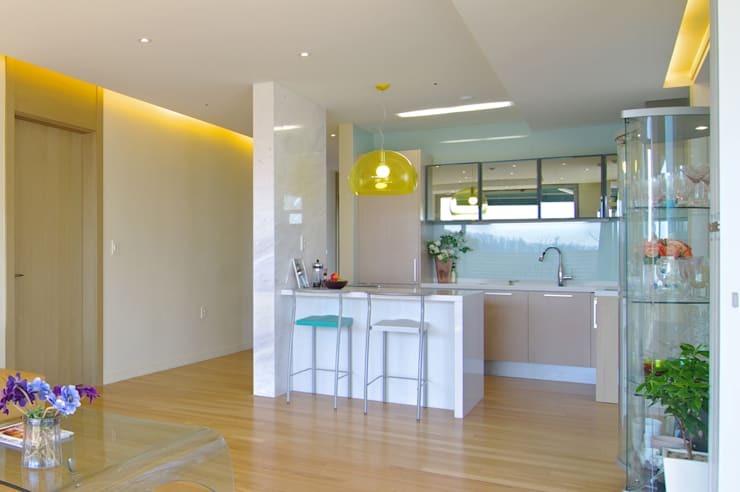 You'll notice a subtle touch of yellow—a lampshade and some soft yellow lighting that lines the ceiling. The designers have created a very neutral space—white, wood and glass—and added touches of colour here and there. You'll notice there is a blue bar stool, a vase of blue flowers and plants littered around the home. Fresh, subtle and stylish! The French doors that roll back to reveal the balcony are our favourite feature of this whole space. It allows for a spacious living space in summer (when they are rolled back) and a cozy spot in winter, with light streaming in (when they are rolled closed). Also read this ideabook on the home of heavenly light. When we look at this photograph, which shows what the space looked like before our experts got to work, it's clear that the home was in serious need of love and care! The kitchen cabinets, lighting fixtures and floors are all old and outdated. You'll also notice that there is not much natural light in this space, which makes it look much smaller, less cozy and far more uncomfortable. Can you believe that this is the same space? The designers have redesigned the whole kitchen, opening it up to create a spacious and light space. The best part of this brand new kitchen are the mirrored cabinets above the sink. 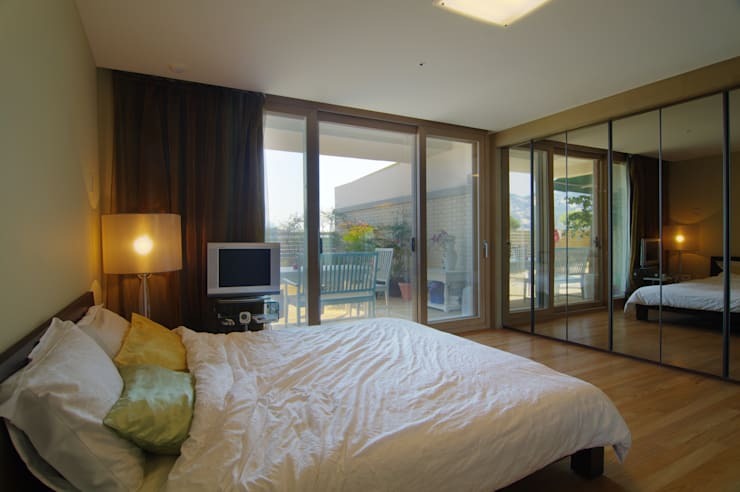 Mirrors make a space look much bigger, reflecting the rest of the room back on itself. This also adds depth and character to a space. The designers have also created a little breakfast bar, which is far more social than the previous design. It allows for the kids to do their homework while mom and dad prepare dinner or for them or for guests to sip on wine while the chef whips up a meal! The touches of blue and yellow add a very peaceful and colourful look and feel to the kitchen. The yellow lamp is the cherry on top! Check out these: Seriously bright ideas for kitchen lighting. The brown window and door frames, the '70s ceiling and lighting fixtures and the outdated flooring makes for a very boring and drab living space—especially for a bedroom! Brown is very old-school. The designers have said no-no to this design. It looks like a boring office area where there is no creativity, no life, no inspiration and now warmth. You'll also notice that this space looks dark and dingy. The lighting is shocking. The bedroom has been completely transformed—like magic—into a cozy and cushy space that makes us want to snuggle up and read a book right now. Once again, the designers have included mirrors in this space, making the room seem that much bigger. The windows and doors also open up onto a bright and spacious patio, where the doors can be rolled open to allow fresh air and sunlight into the room. Lamps and subtle overhead lights have been included to allow for ambiance and romance in this warm space. Have a look through these homify bedroom products for inspiration for your own bedroom! 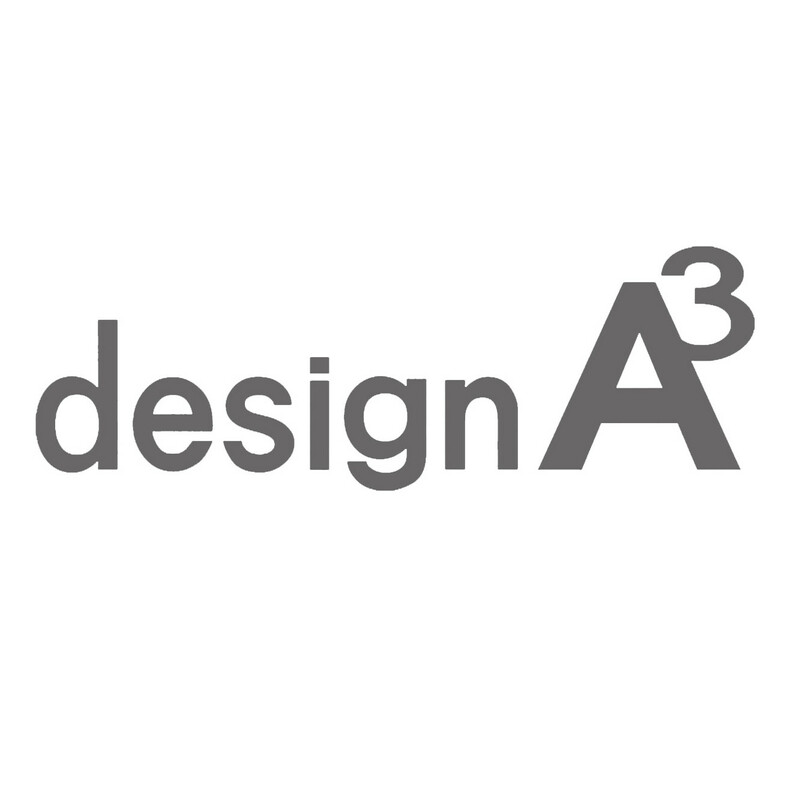 The designers are innovative and creative, producing a wonderful space that is smart, functional and homely! What is your favourite part of this home? Did a particular room take your fancy? Let us know your thoughts!